Today, we are taking a more holistic approach to public education systems reform. 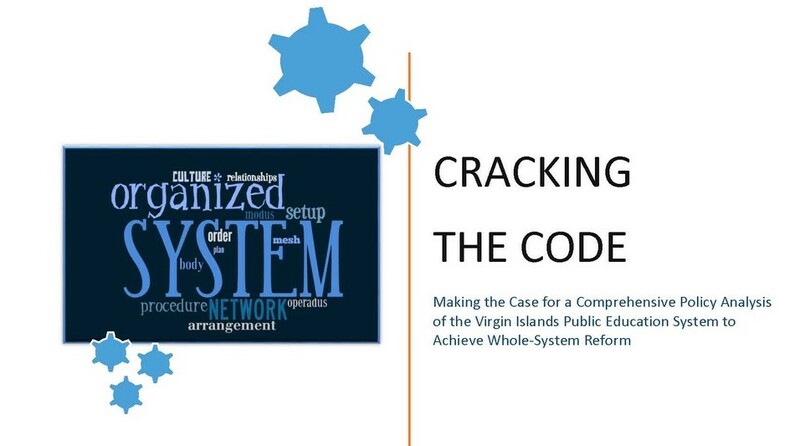 In 2013, the Foundation convened a Policy Mapping Steering Committee consisting of a carefully selected cross-section of our community including business leaders, educators from public, private, and parochial schools as well as representatives from the University of the Virgin Islands and public sector agencies. Today, having compiled and synthesized most of the data, the Foundation has released our white paper, Cracking the Code, to the public, reporting on one of five priority areas. Next steps? The Committee is today building the final framework to present our research and findings on Teachers & Instructional Management and Student Support Systems in focus groups comprising key stakeholders and policymakers.